Hyaluronic Acid is used to Fill, Smooth Out and Prevent Wrinkles. As we age, our skin inevitably loses its youthful appearance as the production of natural dermal volumisers and moisturisers such as hyaluronic acid diminish, leaving lines and wrinkles where our skin once was youthful, even and radiant. Today, the signs and symptoms of the natural ageing process can be reduced by replacing the lost hyaluronic acid with a dermal filler like Belotero. Dermal Filler to fill and smooth out wrinkles, furrows and other suitable areas such as the nasolabial folds, lips and the contour of the mouth. Dermal Filler for wrinkle prevention as well as for active rehydration, tightening and smoothing of the skin of the face, neck, décolletage and the back of hands. In our body, hyaluronic acid fills the spaces between cells, protecting them by retaining water and serving as a cushion. Considered a ‘natural moisturiser’ hyaluronic acid performs different tasks in the body. During the ageing process, the production of hyaluronic acid naturally decreases. Dermal Fillers made of hyaluronic acid, which is a natural component of our skin act like a cushion, supporting facial structures and tissue that may have lost volume and elasticity. As hyaluronic acid fillers, the Belotero products can be used by men to maintain an attractive, youthful appearance. During the treatment session, the Dermal Filler is injected into the specific area of the skin to be treated, using a very fine needle or cannula. The filler can be injected in different areas, such as cheekbones, cheeks, chin and temples in order to model and shape them as desired. Dr Dhobb injects the filler and massages the area around it in order to deploy the gel. 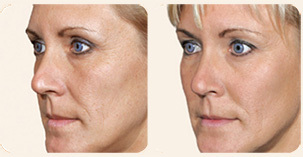 The treatment with Belotero Dermal Filler will take about 30 minutes to complete. 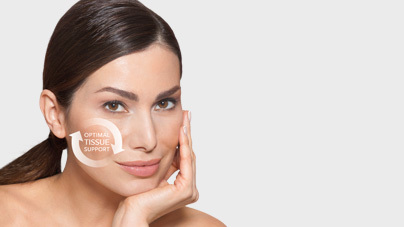 Wrinkle filling, facial contouring and rehydration treatments are virtually painless. Some may experience the treatment as a mild discomfort. The effects are long-lasting, between 9 and 18 months, but not permanent. 2 to 3 sessions are recommended, held 30 days apart. Maintenance treatment is recommended once or twice a year, depending on the needs of your skin. 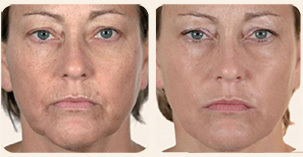 The Belotero products are hypoallergenic fillers and usually do not require a skin test prior to injection. The aesthetic results are immediate and you will be able to continue your daily activities as soon as your appointment is over. The Belotero Fillers integrate so readily into your own tissue that you are unlikely to feel the substance when you touch the treated area. The use of lidocaine in sensitive areas enhances your treatment comfort and lasts until after the injection session. 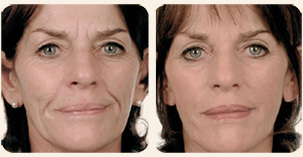 Face contours, nasolabial folds and lip enhancement. 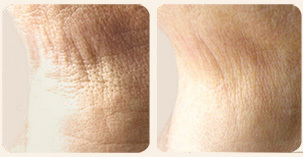 Neck: recovery of skin tone and elasticity after 3 Belotero® Hydro sessions. Treatment with Dermal Filler should only be administered by a trained medical healthcare professional. Dr Dhobb, MD PHD director and owner of the Marbella Vein & Beauty Clinic is a Consultant Vascular Surgeon and University Master in Aesthetic Medicine. He offer his patients a complete range of well being and beauty enhancement in a safe environment using the best products and the last technology.